You can find more on the infiltration of Evangelical Seminaries linked, sourced and explained in detail in these articles. With concerns over Social Justice (formerly called “Social Gospel “ when the liberal influences flooded mainline denominations in the past decades ) on the rise , many believers begun to be aware of its buzz words and phrases which have become part of the everyday language – the language of – The Evangelical Deep State. Acton celebrates its hero Friedrich A. Hayek moved across the ideological spectrum of Fabian Socialism of the London School of Economics where he lectured in the early 30s and like Hayek Acton appears fluid in its politics and to whose ideology it actually subscribes. https://fee.org/articles/friedrich-a-hayek-1899-1992/ .In chapter 10 of Brannon Howse recent book “Marxianity” Howse quotes Erik Angner of George Mason University concerning Hayek mixture of socialism and free market capitalism. Angner points out that Hayek favored minimal income, redistribution of wealth, and universal healthcare. Greg Forster who is the head of Oikonomia Netwrok (the Greek word meaning Stewardship) is promoting more materials for congregations concerning giving – for Church giving targeting – not Gospel Missions but Acton / Kern Family Foundation funded wisdom as a “primer for Stewardship, Poverty and Flourishing. This Tim Keller style mantra is the heart and soul of the troubling and much opposed Social Justice false gospel. The high school curriculum looks to be simply working to prime your teen before their careers even begin. 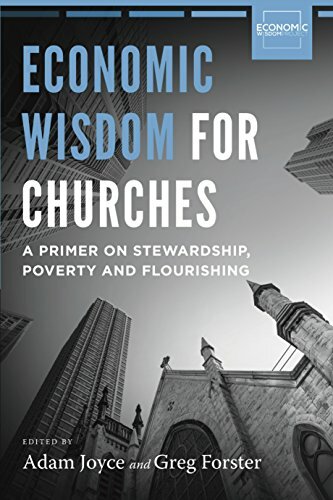 How does Oikonomia and Acton’s work of merging socialism with capitalism, global justice with gospel mission, evangelical with Catholic theology and social policy and the call of God with secular humanitarian vision help students of any age understand Biblical mission? In light of Biblical commands to recognize the idolatrous influences of the world and culture around us ,young Christians students would be better served by understanding God’s call to make a distinction of the holy from the profane and to flee from man centered systems like Socialism and Marxism -not comingle their faith with them. In 1st Corinthians 10 we that dining at both tables is not permissible . Rick Warrens Purpose Driven ideology has crept into Christian curriculum for years and its problems have not gone un-noticed. Now the work of Acton and Oiknonomia have contributors from The Gospel Coalition as shown above and it appears that no one is expected to question these influences or to raise a single objection. Very few will because of the trust afforded many TGC leaders like Tim Keller simply because he (they) are allowed to operate and continue such influences within the framework of Reformed Theology (albeit not historic Reformed) and within denominations like the PCA and SBC. Keller’s Redeemer Church and TGC have obtained grant funding to produce The New City Catechism. It is also now being made into a devotional and Homeschool curriculum. The New City Catechism is funded by John Templeton Foundation. Templeton’s work is product of concern from Social Scientist. The NCC curriculum provides study guides for 8-11 Sunday School and Homeschool.